On the 18th of August Henry’s army did a detour, heading south east instead. Richard III feared he would be heading through London so he quickened his army’s pace. Leaving Nottingham for Leicester on August 19, he reached Leicester on the twentieth. 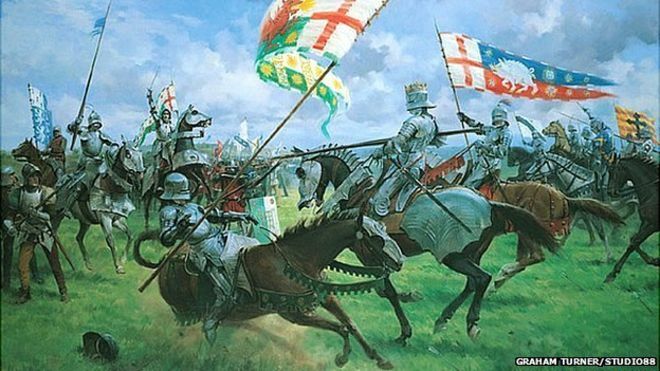 Richard III’s forces now surpassed 60,000 (according to the French Chronicler Molinet). Richard III had issued proclamations threatening every man of property on pain of death and loss of his lands if they did not march with him, he also issued proclamations ordering every town to close their doors to their invader, Henry Tudor’s forces. This did not deter Henry however. He kept on marching and so did Richard. Spending the night at the Blue Boar Inn, bringing his own bed with him, he resumed his journey the following day. Richard III’s last night on this earth was uneasy. According to Shakespeare’s play he saw the ghosts of those he had killed. There is no evidence that he poisoned his wife or that he was the mustache twirling villain in his play and many other versions that came during the Tudors’ regimes. But given that he knew that the battle was only days away, he must have felt some dread. Though he was the more experienced fighter, Richard III was a soldier first and foremost. He knew that nothing was certain when it came to battle. It could swing both ways. One sixteenth century chronicler said that there was a tale about somebody from Henry Tudor’s camp pinning a jest on Norfolk’s tent mocking him and Richard, and warning of their impending doom. “Jack of Norfolk be not to bold, for Dickon they master is bought and sold.” Polydore Vergil (another sixteenth century chronicler) said that Richard also slept badly and that the following morning, hours before the battle, he complained of “a multitude of demons” making his face “even more pale and deathly.” The Crowland Chronicle reported that his ill dreams made him rise up early and search for his chaplains for an early Mass. With his men assembled near Fenn Lane, between the villages of Dadlington, Sutton Cheney and Shenton, Richard III prepared to meet his enemy. Henry, Vergil also says, was “somewhat appalled” and worried that Stanley would not make true on his promise, but appearing as stoic as the Plantagenet King, he marched on. The fight would be over in two hours. 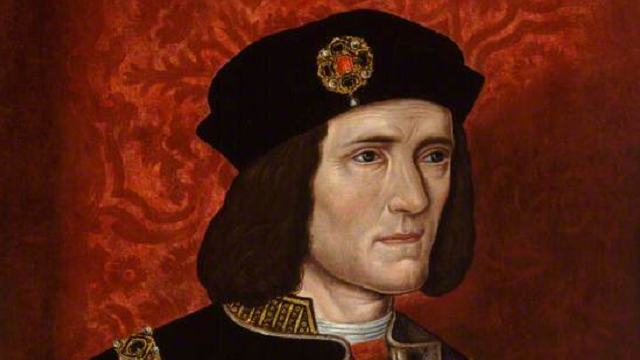 As Richard III had predicted, he would die a King or win. And Henry would gamble everything as well. 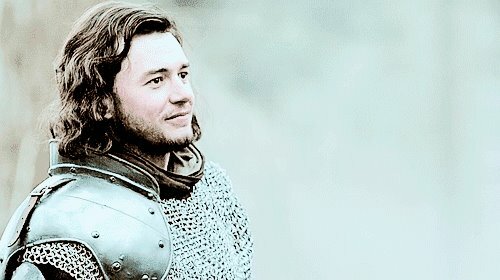 But in the end, it would be Henry who would be left standing, taking Richard’s crown and becoming the founder of a new Dynasty that would eclipse the once powerful Plantagenets.